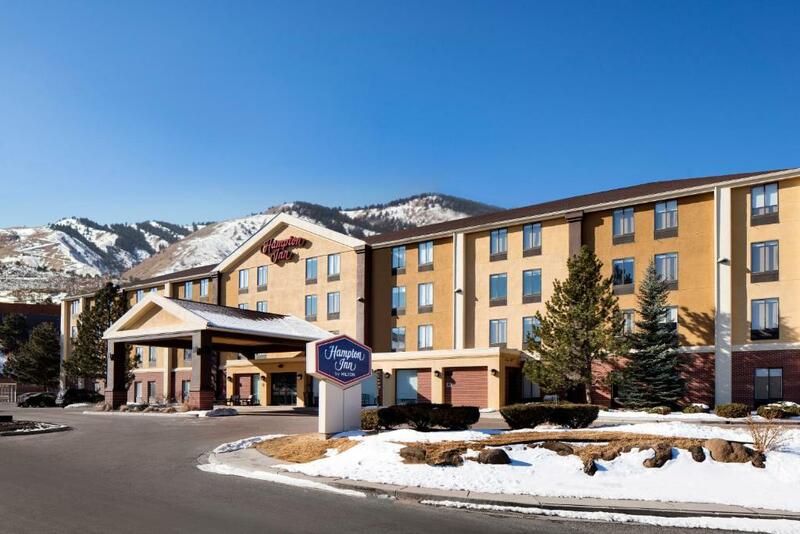 Lock in a great price for Hampton Inn Denver-West/Golden – rated 8.6 by recent guests! Friendly staff and new furniture made it feel cozy. Breakfast was good. They were a little slow in refilling items. I liked everything about the hotel. Centrally looked. Only 15min Uber ride to downtown Golden and about 10 to Red Rock, 6 mins to Mall. Hotel was clean, Laura the manager was awesome and very sweet. Nice indoor pool and jacuzzi, we didn’t get a chance to use either on this trip. Nice breakfast choice. 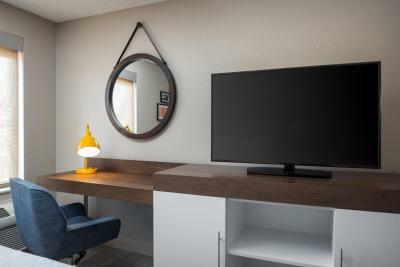 Clean rooms, nice bathroom, desk, tv etc. The desk staff was very helpful at each interaction. They lent us a snow scraper, allowed us a late check out, and offered us water bottles. I also love that there is coffee and tea available in the lobby all of the time. 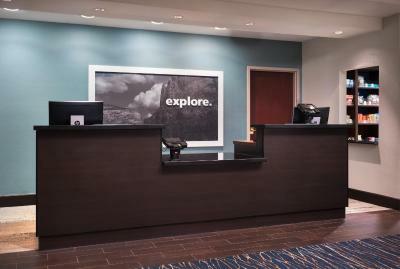 We enjoyed our stay at this Hampton Inn facility and would highly recommend it to other travelers. 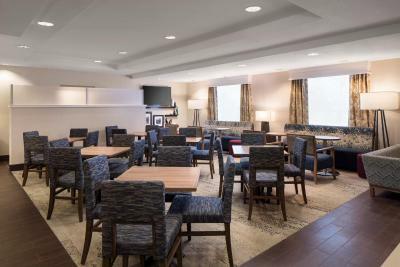 They offer a nice, clean room with a free breakfast that includes eggs, saussage, waffles, fruits, cereal, potatoes as well as all the usual beverage. 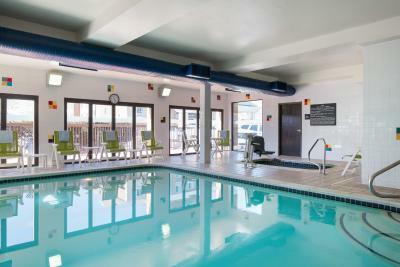 They have a nice indoor pool, hot tub, exercise room, laundry room that is open 24 hours, business center and free wi-fi. Thank you for a good experience. The staff member that signed us in (Laura). Went well beyond normal duties to help us. Rooms were great and very clean. We enjoyed our stay! Would definitely recommend this hotel to anyone!! Fantastic customer service when checking in. The lobby was inviting and comfortable. The room was excellent, clean and comfortable. Having hot coffee and tea all day is always a plus. I will stay here next time I visit - which is often as my son attends school in Golden. Very up to date and clean. Breakfast was great! Plenty of choices. The staff was very helpful and friendly. The location was very easy to find and convenient!! We would definitely stay again. 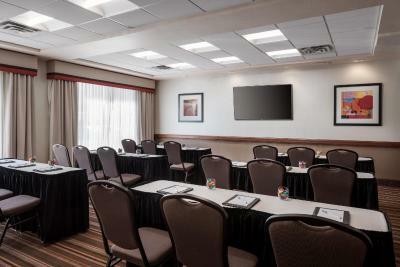 Hampton Inn Denver-West/Golden This rating is a reflection of how the property compares to the industry standard when it comes to price, facilities and services available. It's based on a self-evaluation by the property. Use this rating to help choose your stay! 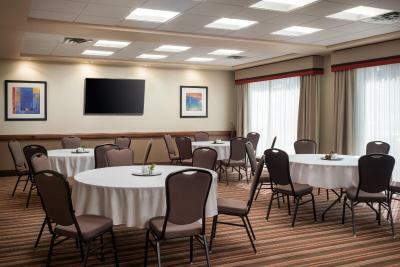 This hotel is located one mile from Interstate 70 and 3 miles from downtown Golden. 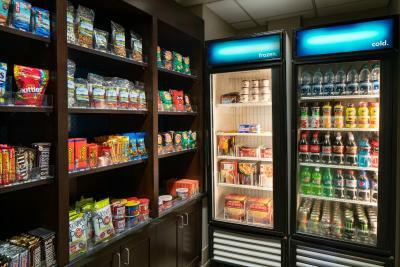 The hotel features free parking and provides a microwave and refrigerator in every room. 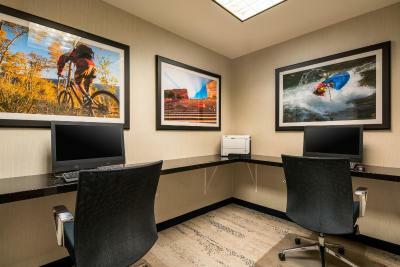 Hampton Inn Denver-West/Golden rooms are equipped with free Wi-Fi and cable TV. 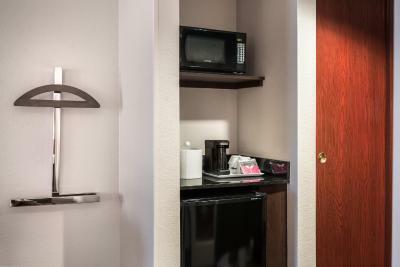 The rooms also include a coffee maker. 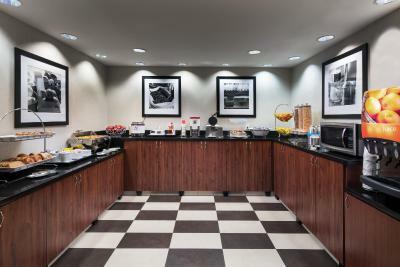 Denver/ Golden Hampton Inn provide guests with a daily breakfast. 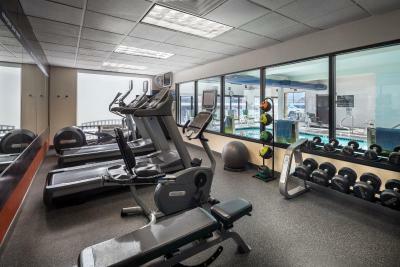 Guests at the hotel can work out in the gym or out in the business center. The Denver Hampton is within a 25-minute drive of the Denver Museum of Nature and Science. 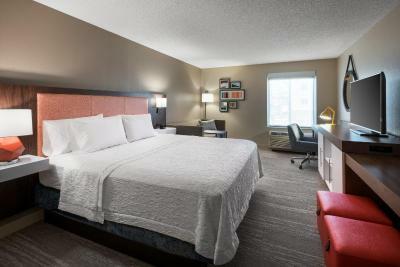 The hotel is within a 15-minute drive of downtown Denver. 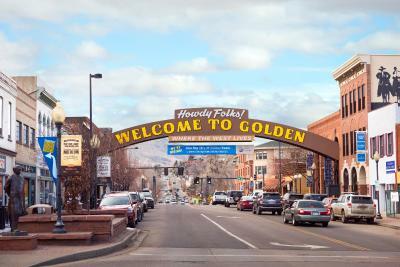 This property is also rated for the best value in Golden! Guests are getting more for their money when compared to other properties in this city. 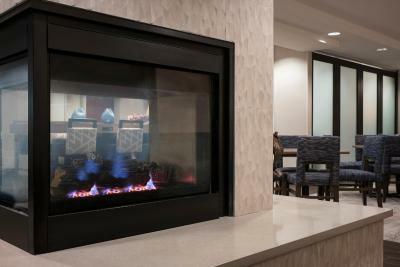 When would you like to stay at Hampton Inn Denver-West/Golden? 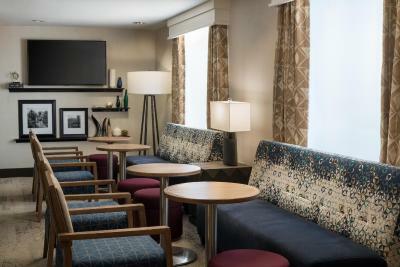 With a 36-inch flat-screen TV, this room has tea and coffee-making facilities, a private bathroom and a sitting area with a sofa bed. 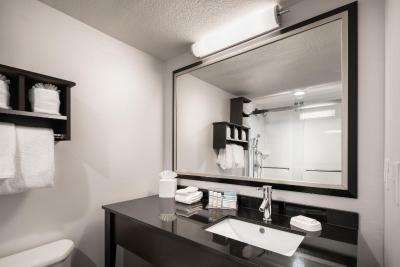 With a 36-inch flat-screen TV, this room has tea and coffee-making facilities and a private bathroom. 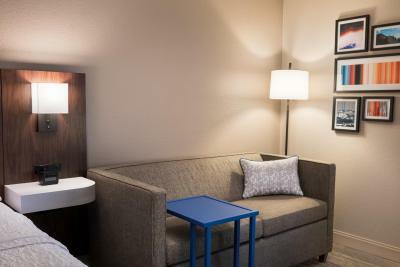 With a 36-inch flat-screen TV, this accessible room has tea and coffee-making facilities and a private bathroom. 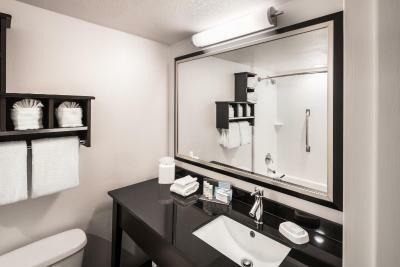 This double room features a microwave, air conditioning and cable TV. 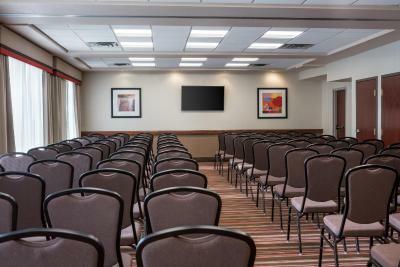 Located only minutes from downtown, Hampton Inn Denver-West/Golden provides easy access to the Rocky Mountains and other nearby attractions such as Fossil Trace Golf Course and Red Rocks Park & Amphitheater. 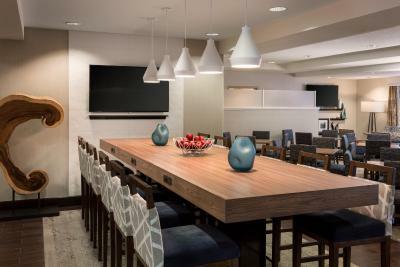 House Rules Hampton Inn Denver-West/Golden takes special requests – add in the next step! Free! Up to three children or adults stay free of charge when using existing beds. 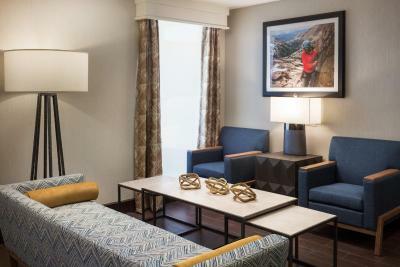 Hampton Inn Denver-West&#47;Golden accepts these cards and reserves the right to temporarily hold an amount prior to arrival. Hampton Inn Denver-West/Golden accepts these cards and reserves the right to temporarily hold an amount prior to arrival. Breakfast is ok but not great. Not very close to any restaurants. Check in was easy. Got in late and we didn’t get the King room reserved but the double room was just fine. 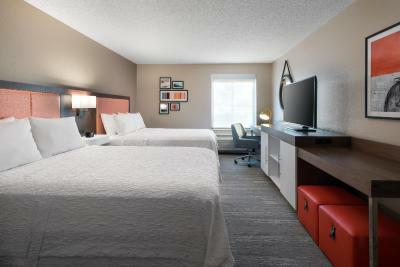 Hot shower and Comfortable beds made for a great night sleep. The pool was to chemically it broke my wife out but it was fine for my daughter. The only issue we had was a bit of difficulty parking because of a snow storm, but it is to be expected in Colorado in February! 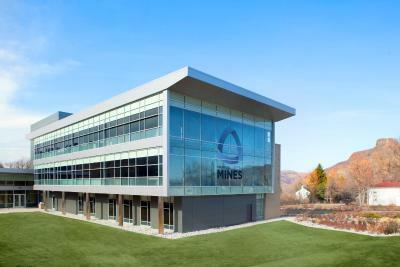 The location was perfect for the event we were attending. The lighting in room should be better, no fan in bathroom and internet was not that great to get on my cell. I wish they had fresh sliced fruit every day at breakfast (they had it some but not all days). The man putting out the food was not wearing gloves and used his fingers to clean off the spoon rest for the spoon for the eggs, then put the spoon back in the spoon rest. This is a clear issue with food handling. We overnighted here on our way to Breckenridge. Very friendly and helpful staff. Gorgeous room with lots of attention to detail. Loved our stay.